It was undoubtedly a night of vigorous celebrations and pride, as the Pakistani Cricket Team brought home the ICC World Champions Trophy, after a spectacular performance on the ground against India. The country was alight with the traditional colors of the flag and patriotic songs as its dwellers lauded the win long into the night and morning. Various celebrities posted videos on different social media platforms, congratulating the team and showing the euphoria of the big match from both their homes and the Oval. 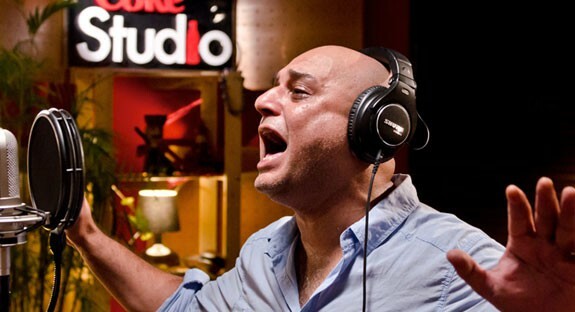 Ali Azmat was also amongst them and his message gave us a nostalgic warmth. The singer shared a video of himself singing the iconic Jazba Junoon, once the Pakistan’s go-to cricket anthem and a beloved song till date. Публикувахте от Ali Azmat в 18 юни 2017 г.
Doesn’t it make your day? Any thoughts on the win or the video? Let us know!